What’s in your sweet shop? 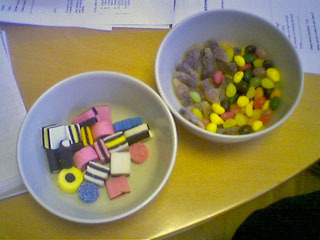 Nothing deep and meaningful on a Friday afternoon – just the Zopa Friday Sweet Bowls. What was your sweet shop favourite? Kola Kubes get my vote!